Subtitle: Structured Steps to Social Engagement and Symbolic Play. 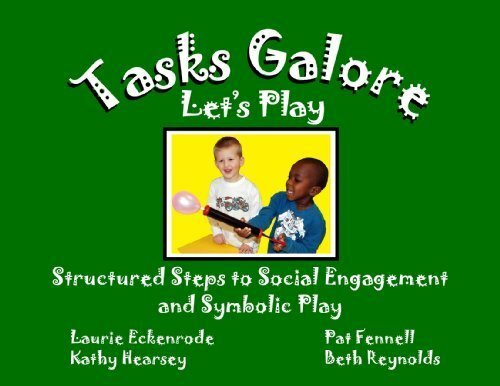 Utilizing play as the program for learning, this book depicts tasks that the authors have implemented successfully to enhance their students' toy play, flexibility, and social interactions. Includes photographs of children at play as well as printable visual supports that will generalize to multiple learning situations. The chapters demonstrate how routines, organizational strategies, and visual cues make play more understandable; as a result, students can share enjoyment, use toys appropriately, manage play times, pretend, and play with peers.